Kalanchoe uniflora is an epiphytic succulent from Madagascar. Here you can see it blooming on my tree this last winter. 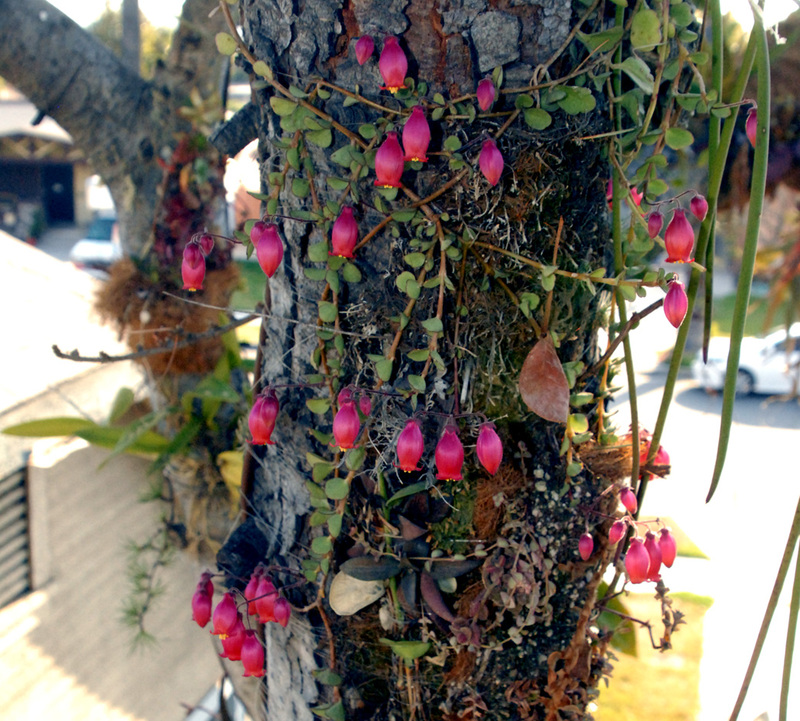 It's easily in my top 5 list of favorite succulents for growing epiphytically. Certainly looks to be doing very well on your tree.